Although our emphasis in this book is on inventory models where the parameters are subject to various forms of uncertainties, we will begin our treatment with a brief introduction to inventory systems possessing deterministic phenomena. As discussed in Chapter 1, a deterministic system assumes certainty in the model’s system’s attributes and parameters. That is, the states of nature involving actions and outcomes are known with certainty as well as precisely. 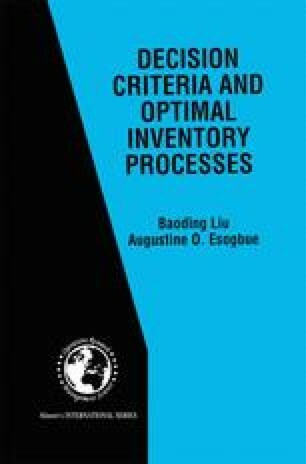 Since a considerable amount of attention has been paid to deterministic models of inventory systems, especially in elementary inventory texts and operations research literature, we will not discuss this subject in great detail in this book. Rather, we will use deterministic models only to motivate our coverage of the material of major interest to us.